Every business, no matter how big or small needs a website. If you’re running a newly established business, setting up your website will be one of the first tasks on your agenda. On the other hand, if you’re already set-up with a website, because technology moves so fast, it is important to ensure that your site is up to date, both in terms of your business offering, but also in relation to current technology and design principles. When you’re considering setting up or updating your company website, here are ten of the absolute must have website essentials you will need to get started. Time to bring it back to basics. Does this bring back memories of writing your business plan? Shudder. The dreaded business plan is a helpful tool in showing potential investors what your business is about, how it will operate etc. Your website does the same thing for potential clients and so, this is a key website essential. There is nothing worse than landing on a page and not knowing what exactly that company does, is it what you’re looking for, or not? If our audience can’t answer that basic question as soon as they land on our site, we’ve missed the mark. Security should be top of mind for any business and this extends to your website. With shady characters spread across the world spending all day every day trying to hack websites to steal users data or to wreak havoc with your content, it’s important that your website is secure. It brings peace of mind to you as the website owner, but also to your users, who want to be sure that any information they provide while on your site is not going to go amiss. In a move towards fostering a more secure web, Google announced last September that from the start of this year they would place a warning in Google Chrome on any site that does not have a valid SSL certificate, and therefore is not deemed secure. At Effector, we operate on a ‘strategy first’ basis so that your website works well, first and foremost. The design elements of a website are about much more than simply making it look good. They must also guide the eye and encourage the reader along the journey to completing a sale. Although, we must stress that an attractive look goes a long way and so is a definite website essential. Think of your own browsing experience, do you hang around on a page that looks awful? No, neither do we! Aesthetics are important in attracting viewers and encouraging them to stick around for a while. We use energetic design techniques to help get your website looking great. In design, it’s important to inject style and a careful use of colour so that it all ties together in such a way that it is welcoming. In late 2013, now four years ago, mobile traffic surpassed that of desktop browsing for the first time. Now, mobile accounts for over 70% of traffic. So, if you’re not optimised for mobile, you’re missing out on a huge portion of your target audience.. Being optimised for mobile is no longer in the category of ‘nice to have’, it is a website essential. At Effector, we build website responsively, meaning they look great on all screen sizes, from small smartphones to large desktop screens. The copy that you use on your site matter. The way we say things, our turn of phrase, the examples we use, and so many other little things about the way we tell people about our business can either interest them or turn them right off. When it comes to your website, aim to get your message across in clear language that is easy to understand. Adopt a tone that is representative of your brand and make sure, above all else, that your copy is error free. Use a spellchecker as a first port of call and then ask another member of staff to proof it before you hit publish. 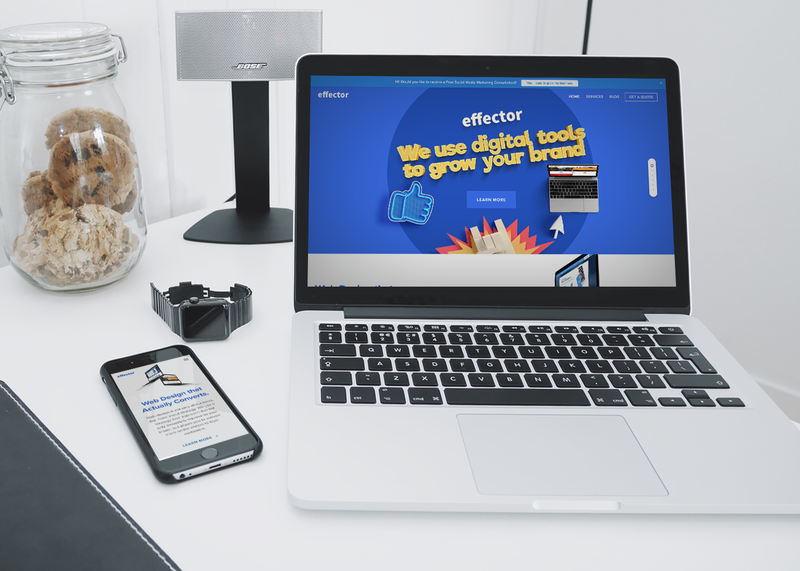 Effector can help write compelling copy for your website that is both reader and SEO friendly. When it comes to conversions on your website, you don’t want to leave anything to chance. That is why a clear Call to Action is another essential on your site. What do you want your readers to do next? You no doubt know the answer to this, but they don’t always know what the next logical step is. Copyblogger found that by providing a call to action in the form of a button resulted in 45% more clicks than if the readers had no direction on what to do next. It’s simple, but it works. Navigation is so important on a website. When we browse, we have high expectations from sites that we visit and any site that doesn’t deliver on these expectations is immediately disregarded. One of the key expectations of internet users today involves being able to find the information that they need quickly and without any hassle. Intuitive navigation understands what the audience might want to do and guides them to their destination. This can be done through a series of dropdown menus, clickable buttons or simply through scrolling. Apart from the layout of the website, the titles of the menu should be clear about what is on them. By all means, get creative with it, but don’t overdo it to the point that your readers don’t know what to expect on the page. This point is similar to the last one, but as it is so crucial to the success of any business, it deserves its own section. If we go back to the basics of what a website does, one of its main functions is as a place where potential customers can find out how to contact us. For this reason, your contact page is an important website essential. Try not to over-clutter it with extraneous information, keep it clear and succinct. Also, offer as many contact options as you can, everyone likes to have choice. Some may like to drop by in person while others might want to leave a message via your contact box or call you. If you have opening hours that people need to know they can also go here. This is the part where Irish people tend to have trouble – but it’s definitely a website essential! You may not like to feel as though you are bragging about your success, but this is business, if you don’t give people a reason to believe that you’re amazing at what you do, they won’t think it. Proof of your success can come in a range of formats. Client testimonials are great because we like to know that other people have had a positive experience before doing business ourselves. Industry awards are another great way to show that you are great at what you do. It tells a prospective buyer that your industry peers acknowledged your expertise in your field and that is very valuable. And don’t worry, the more you toot your horn, the more comfortable you’ll become with doing it! This is where you can offer great value to a prospective buyer, perhaps they’re making progress down the sales funnel but just aren’t there yet. Gaining trust is one sure-fire way to help bring that potential client closer to being ready to spend. You can do this by offering high-value resources for free. These can be found on your blog, another website essential, or as downloadable files (for which agree to be placed on your mailing list). Try not to think of this as giving away your services for free. By sharing your knowledge, you become likable and it cements your position as an expert at what you do. Fluff-filled content won’t cut it here, make sure it’s something that they can use until they’re ready to come back and spend. This all may sound like a lot to get a basic website off the ground, but they are complex systems which work on a number of levels. As a fundamental marketing tool for your business, it is certainly worth investing the time and energy to ensure that your website is just right. 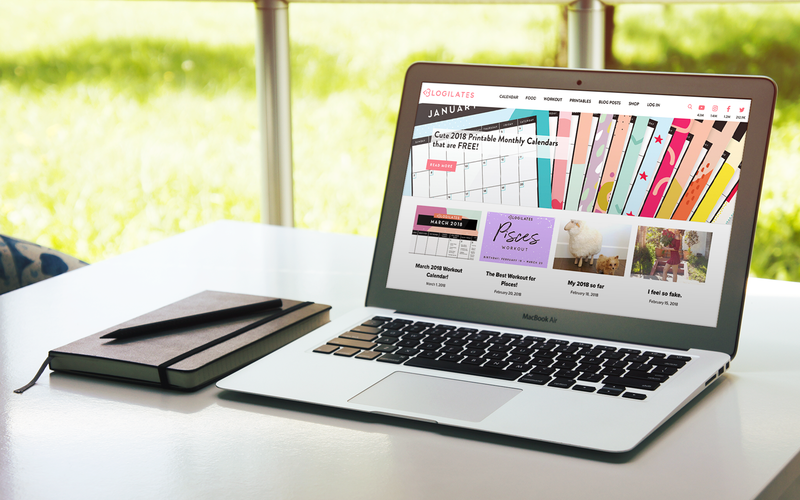 Creating your online store front can be a stressful process, but at Effector, we can bring our expertise into play, along with our bag of website essential tricks, so that you get to enjoy the experience as much as possible and emerge with a website that you can be proud of.